The Staggered Corduroy with Japanese Overlay Bracelet is the combination of two different yet distinct steps. 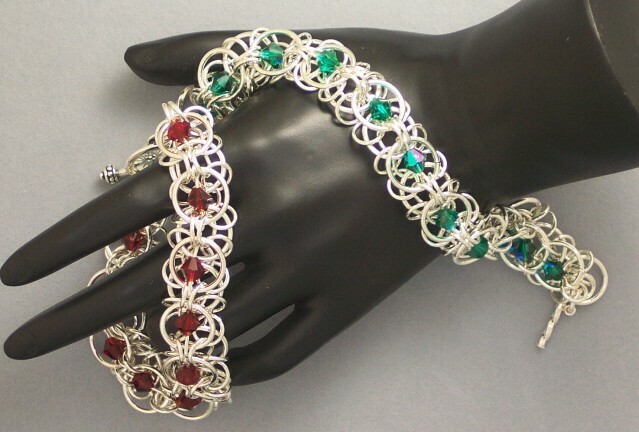 You build the bottom half of the bracelet and then place the overlay on top including the crystals. It is beautiful to wear and will elicit many compliments. The bracelet feels very supple and good on the wrist. This is an advanced weave. The clasp and crystals are not included in the kit.